There are 4 types of health navigators- Clinical, Outreach and Enrollment, School, and Community Health Navigators. Clinical Health Navigators work with individuals in the clinic setting. 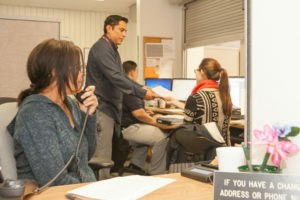 Outreach & Enrollment Specialists provide information to make people aware of health insurance options and assist individuals in applying for eligible services. School Health Navigators work with students and families in an identified neighborhood. Community Health Navigators work in communities. They are involved in policy and advocacy work.